Going through a divorce is a challenge, no matter what the circumstances or the amount of time you were married. In addition to the emotional upheaval and the changes in your lifestyle and finances, there are important legal issues you will need to contend with. While getting a divorce is rarely easy, effective communication and the willingness to cooperate throughout the process can help to make it less complicated and contentious. Unresolved conflicts between spouses is common, but carrying resentments and wanting to extract revenge only makes getting a divorce harder. Under Florida Dissolution of Marriage Statutes, you will be required to settle matters related to property division, spousal support, and child time sharing before your divorce can be finalized. How you approach these issues can mean the difference between getting your divorce granted in as little as a few months or having it drag out for a year or more. Communication problems are common among troubled marriages, but accusations and ‘pushing buttons’ only creates animosity and makes it harder to negotiate important details. While being civil may be a challenge, make an effort to not respond to antagonistic statements from your former spouse. Good communication skills benefit you in divorce proceedings in terms of how you relate to your attorney. Jot down notes about important issues to discuss so you will be prepared for consultations. This enables your divorce attorney to work more effectively in protecting your rights, while also making sure that items important to you are addressed in any marital settlements or divorce-related orders. Divorcing couples are encouraged to negotiate on important issues that must be resolved in their case. Not being flexible or willing to negotiate in hammering out these details will require a judge to issue an order based on the evidence presented, giving you less control in how these matters are settled. In addition to cooperating in negotiation conferences and meetings, it is also important to cooperate in terms of complying with court appearances and requests your divorce attorney is likely to make. Adhering to instructions in terms of information you are asked to gather, being on time at court hearings, and following your attorney’s general recommendations can all help ensure you get the best possible results in your case. 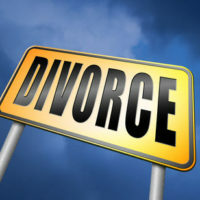 Going through a divorce can have long ranging impacts on your future well-being and financial security, which is why you need an experienced Fort Lauderdale divorce attorney to guide you through the process. Reach out and contact attorney Vanessa L. Prieto today to request a consultation to discuss your case and how we can help you.